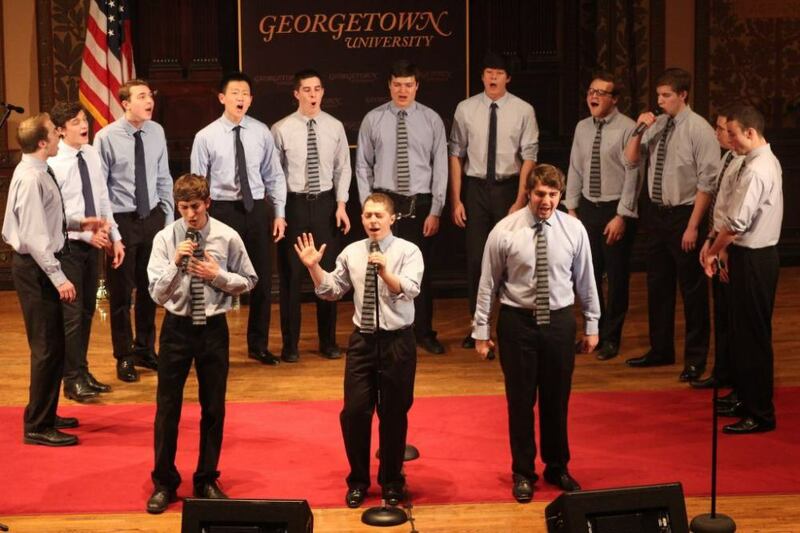 Every year since 1973, the Georgetown Chimes host the largest and longest-running a cappella concert series on the East Coast, held annually in Georgetown's historic Gaston Hall. The Chimes invite other Georgetown a cappella groups, a cappella groups from other universtities, and occasionally professional groups to perform for students, faculty, D.C. residents, and a cappella fans. Many of our past Cherry Tree Massacre performances can be found here .